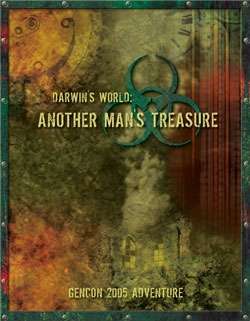 Another Man's Treasure is an adventure for the post-apocalyptic role-playing game, Darwin's World 2nd Edition. Another Man's Treasure is the second in a two-part adventure series in which the player characters are drawn into the desperate hunt for the legendary "Mount of Thorns" at the heart of the wild and inhospitable Deadlands of the Twisted Earth. 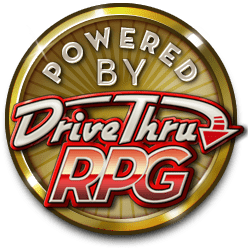 Another Man's Treasure should take a party of four characters from 6th to 8th level. GenCon 2005 Adventure Part 2. Check out Part 1: One Man's Garbage . This title was added to our catalog on August 23, 2004.